Can you imagine walking into your favorite store and getting a personalized notification on your phone with a coupon for something you regularly buy? Or pulling up an app on your phone that will tell you the exact location of a product you want to buy and how many there are on the shelf? More retailers are using the IoT to connect with consumers just like this—something that could revolutionize how consumers shop, and what they expect from their favorite retailers. So, how are retailers using the IoT to create a better omnichannel experience? I’d say there are two big ways—and they both come down to data. 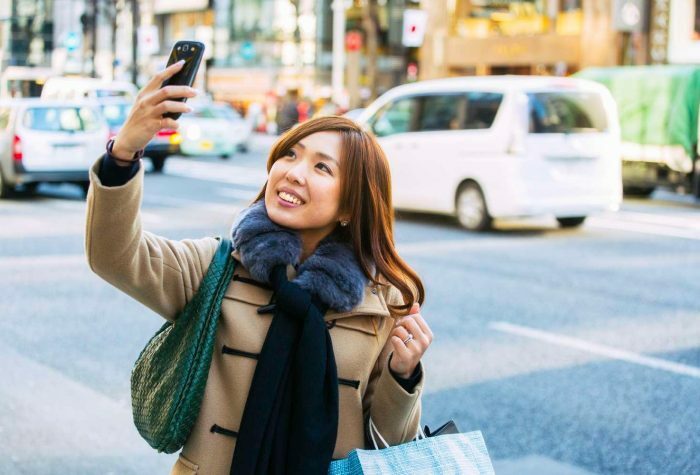 Armed with the data-gathering prowess of the IoT, retailers are using products like SAS Data Management to pull omnichannel analytics and retail analytics to help better understand their customers’ actions via a variety of different platforms—mobile, social, etc.—to find valuable insights on the micro and micro levels. What kind of insights? Imagine knowing that connected customers in Export, Pennsylvania, on average are only willing to spend a certain amount for a certain product so that you can adjust your price before it ever hits the stores. This kind of data isn’t just nice to have—it’s data that can help close a sale and keep businesses running—or more likely, ahead of the pack. In fact, 78% of retailers say it is either important or “business-critical” to integrate their online and in-store experiences to create a solid omnichannel experience for their connected customers. The data gained from it can help them better adjust inventory, keeping waste low and connected customers satisfied. It can determine which promotions were successful, when, and at what time. Basically, it’s taking the “gut” and “guess-work” out of retail and using multi-channel data instead. Beacon/RFID technologies: I read that by 2021, almost 80 percent of retailers will be able to customize the store visit for customers. Why? Because RFID and beacon technologies will be able to tell them when that customer is in the store! Imagine having a treasure trove of data—what someone eats, what size they wear, their favorite brand—and being able to entice them with alerts of new products and sales right when they walk in the door—without even having to increase your sales staff. Gaining predictive insights: All retailers dream of getting a better handle on their market. But few are able to do it until the sales reports are in for the quarter. Using things like smart price tags can change that. Now, businesses can see in real time if a certain price point is working for its customer base and change it—instantly and automatically—if they need to lower or increase it to maximize sales. That’s a total game-changer! No more failed launches or promotions—there is always an opportunity to fix it and improve the chance of sale. Inventory transparency: One of the most annoying things in terms of customer experience is failed inventory—when a customer believes something is in stock, makes a trip to buy it, and finds out it isn’t. New inventory technology like smart shelves can help by alerting personnel in real time when inventory is low. It’s just one more way to make sure connected customers are happy. So—there are a lot of new technologies and ways to keep connected customers satisfied across their various platforms. And businesses hope this will drive sales—and maybe even keep their brick-and-mortar shops in business. Indeed, the data and insights provided by the IoT can help them more firmly establish their brand and extract even greater customer loyalty if used well. After all, as humans we tend to be loyal to the people—and companies—that know us the best. This article was first published on SAS.com.